Do ghost owls really exist? Find out in Eva’s funny colour diary. (It’s full of pretty owls, we promise.) Who thought of this genius idea? A book that feeds your owl obsession and gives you a funny story too. And it has colourful owl doodles right through. Exactly what we wanted. 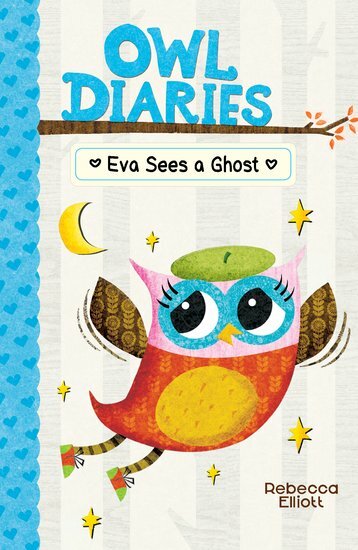 Eva is a young owl whose life is full of cool things. Pinecone phones, flying races and really late parties. But something weird has just shaken her cosy treehouse world. She’s just spotted a ghost! What else could that strange white owl be?